Pebble has posted an update on its Kickstarter page regarding international shipping of the Pebble Time, the cheaper of its two new smartwatches. With hours to go until the close of the campaign, which ends on 28 March, and almost $20m raised so far, Pebble backers received the update on shipping on 24 March. If you've placed an order for the Pebble Time, head to the Kickstarter page now for the full details. The post says backers will receive an email asking them to choose the colour of their smartwatch, enter the shipping address and choose a shipping option. For US backers, fast shipping (three to five days) is included in the pledge price. For backers in Europe (and the rest of the world including Canada and Australia) the units are coming from Hong Kong and the standard shipping included in the pledge price is four to six weeks. That means that if you want fast shipping to Europe, in three to five days, you will have to select this option and pay an additional cost. With this expedited shipping option, you will also be able to prepay any taxes or duties but with standard shipping, the smartwatch will be held until these are paid. 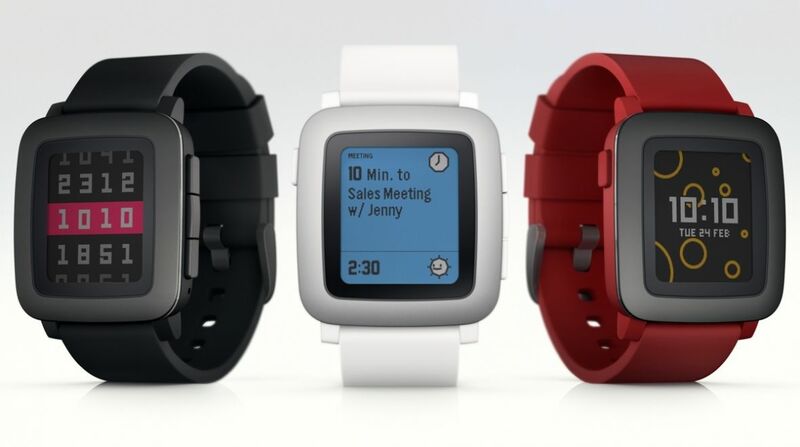 Pebble hasn't revealed how much its fast shipping to Europe costs yet but we'll keep you updated when we get our email with the options. It isn't made clear in the post but we assume Pebble Time Steel backers should sort out their shipping options as soon as possible too, though they will be waiting a little longer anyway.